Brac University Job Circular 2019 has been published on daily newspaper. 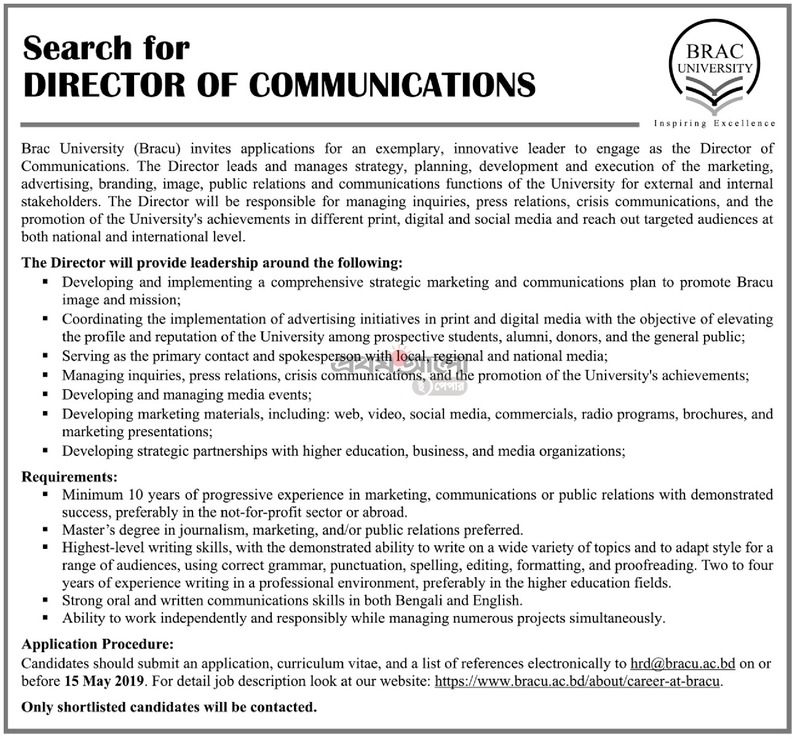 Brac University Job Circular 2019 also published on our website jobs.LekhaporaBD.com. If you are a job seeker and interested candidate in University Job then you can check this job advertisement. We will update all the latest circular of Brac University here. So you can visit this post regularly to get Latest carrer opportunity in Brac University . BRAC University (BRACU) was established in 2001. It follows a liberal arts approach to education which nurtures fresh ideas and gives new impetus to the field of tertiary education. It ensures a high quality of education and aims to meet the demands of contemporary times. Building on BRAC’s experience of seeking solutions to challenges posed by extreme poverty, BRACU hopes to instill in its students a commitment to working towards national development and progress. The medium of instruction and examination at BRAC University is English. BRACU is accredited by the University Grants Commission (UGC) and approved by the Ministry of Education, Government of Bangladesh.